The Two-Step originated in the 1800s by people who arrived here from Europe. It was an offspring of the Minuet and they danced it as QQSS. In the old Western days when women were not allowed to dance with men, men danced together and that is the reason for the hand on the shoulder holding a can of beer and the other hand to the side. The only women who eventually danced with these men were Indian Squaws and that is where all the turns came about, because Indian women loved to spin. Two-step is a Western dance whose popularity has spread all over the United States. This is the Country Western counterpart of the Ballroom Waltz. This version is generally faster and progresses rapidly down the floor. Generally seen as the romantic country dance, the movement is graceful and playful through its use of turns and spins. Country Swing is also referred to as Four Count Swing or Pony Swing and is characterized by its use of continuous rock steps. This is an easy dance to learn, and is often fun for those looking to get out on the dance floor immediately. 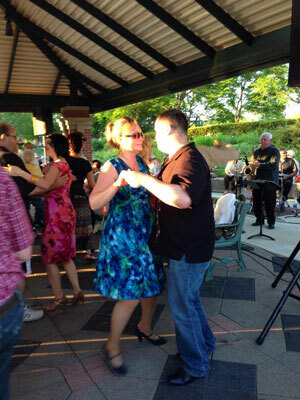 West Coast Swing is a stylized Swing dance that is popular west of the Mississippi from Kansas to California. It is danced in a slot to medium to slow Swing or Disco music, and is characterized by slot movements, taps and shuffles, coaster steps, and push and pull action of the dancers. Texas Two-Step is a modified version of the popular Progressive Two-step done to slower tempos of music. The primary difference between the two styles is an exaggerated brushing action done side to side during the two slow counts of the basic. Country Shuffle is the Western version of Polka. The primary difference is that the style of Shuffle is less hoppy than the Polka. The basic step consists of a triple to the left followed by a triple to the right. This dance resembles East Coast Swing, however, the rock step is replaced with walking steps and the dance becomes a progressive dance down the floor. © 2019, Arthur Murray. All Rights Reserved.